Matt ArtPix: A VICTORY FOR VINTAGE! Last Saturday was the last of my dates for this year to complete a DAZZLING DECEMBER! 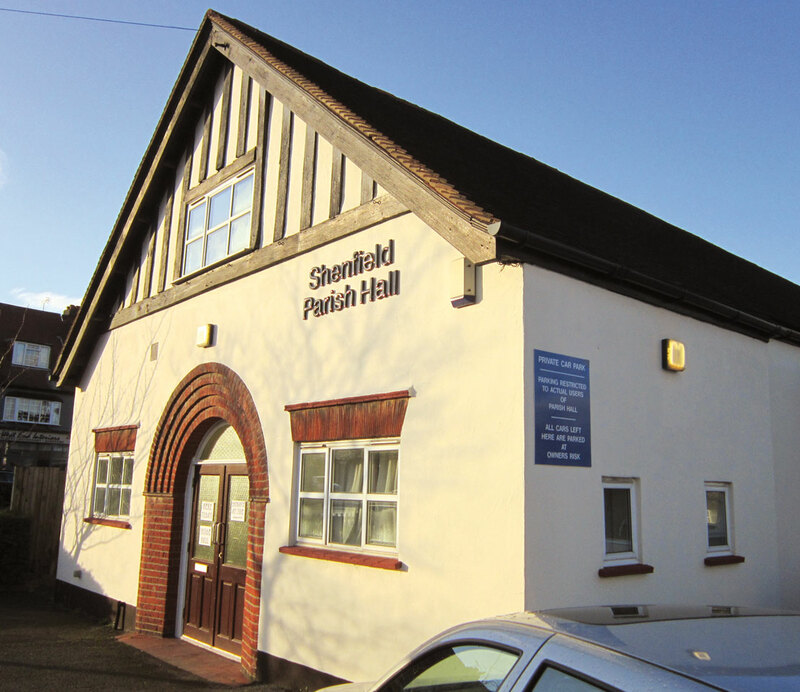 It was a roaring success at the VINTAGE VICTORY market at Shenfield. 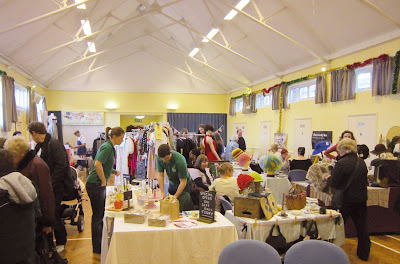 There was so much going on, and with such a varied mixture of traders, produced another memorable day. 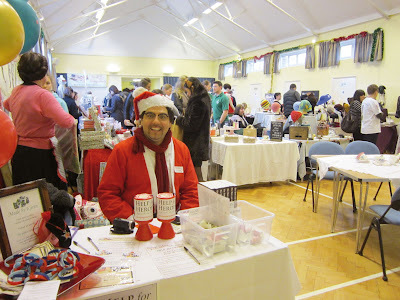 We had a steady stream of customers, all seeking out those last minute Christmas pressies. I'm pleased to say, a few people will be finding one of my pictures in their stockings on Christmas morning!! 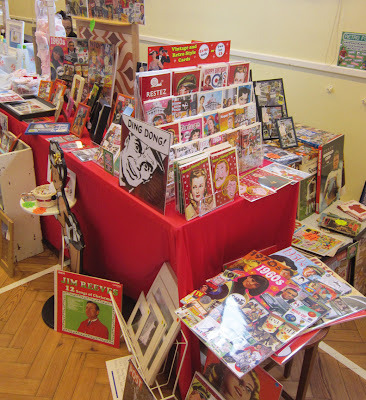 My sideline of retro comics, programmes and books were once again popular as well. Some people snapping up some real retro bargains! Throughout the day we not only had the Singing Santas and the excellent tearoom, but the singing talents of Annie Andrews to keep us entertained. 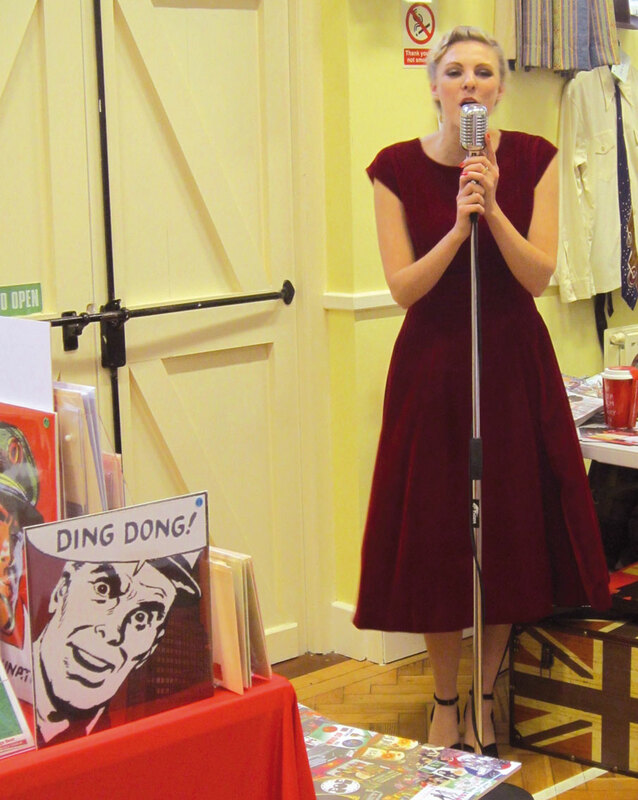 We were treated to a lovely mix of 40s and 50s tunes and some classic Christmas songs. It created a brilliant atmosphere inside the hall and literally stopped people in there tracks! A big thank you to the Vintage Victory team, Katy and Gerado, for organising such a great day. Hopefully I'll be back for their next date on February 11th! 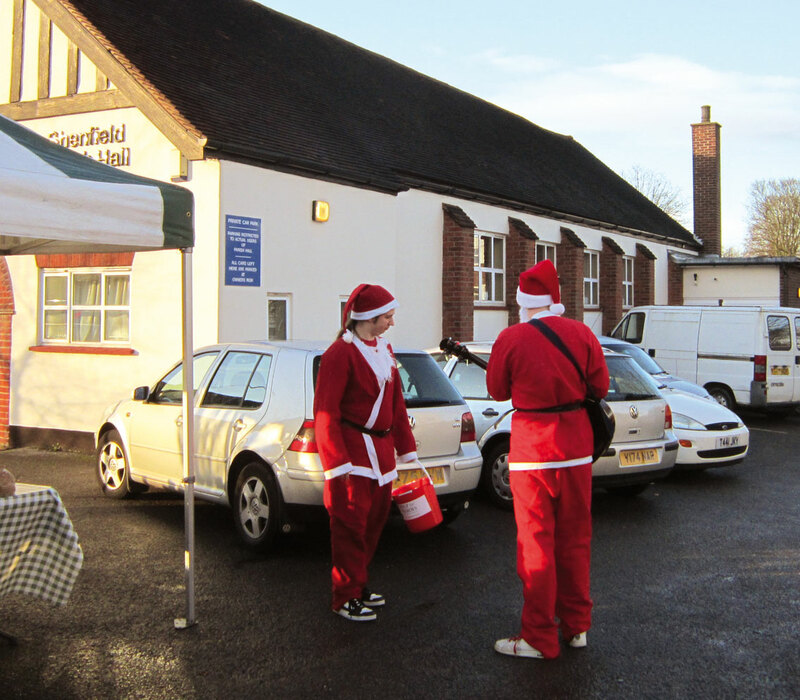 The Singing Santas are drumming up support! A big welcome from Gerado as you enter the hall, the perfect host! Already a busy hall, browsing the wide variety of stalls. Another packed stall, the Jim Reeves record is still available by the way! Ding Dong, it's Annie Andrews!